The word “greed” is simply defined as keeping everything we get. When greed begins to obsess or control us, there is no flow through. Even though we do not use certain things, we become greedy and begin to accumulate them because the accumulation is an end in itself. Then our value, our identity and everything is wrapped up in possessions and the devil has got us. The Bible says, “For the love of money is a root of all sorts of evil …” (1 Tim. 6:10). That phrase, “love of money,” does not encompass the word agape. It is actually an interesting Greek word, philarguria. Philarguria means love that has turned obsessive until it is an addiction and we cannot control it anymore; it controls us. There will be seasons when we are financially thin. It is in those seasons we are going to learn about humility and about keeping our knees to the carpet. It really does not matter how much we have. Whatever state we are in, we must steward and be trustworthy and faithful in what God has given us. Here are several principles and laws that have helped me so much in this area of life. Know where you stand; have a clear view of the land. Where are you in your finances? Write down how much you have as income. Do not include what you get from gifts or extra jobs. How much guaranteed salary money do you have coming in every month? If you do not know where you stand, you are going to be stressed all the time. It is absolutely biblical to know where you stand. “Know well the condition of your flocks, and pay attention to your herds; for riches are not forever …” (Prov. 27:23-24). It is the truth about money; riches are not forever. In the old days, your financial strength was known by how many sheep or goats you had. So, know well the condition of your flocks. If you have x-amount of bills and not enough income, you have to adjust one or two things. The first thing you do is lower your expenses. Do not try to expand your income because you are already living beyond your income. Know where you stand is the first principle. Here is the first law. We have to know exactly where we stand or we will be polarized. We have to be able to find out where we stand and know the truth. Why? “… You will know the truth, and the truth will set you free” (John 8:32). The way you handle money will be what determines whether or not you will be able to handle the true riches of life. This means working heard and having a good work ethic. When you are diligent at your place of employment, then you become someone on whom people can depend. The Bible says, “Promotion cometh neither form the east, nor from the west, nor from the south. But God is the judge …” (Ps. 75:6-7). If there should be any group in the whole world that should be known for their diligence and work ethic, honesty, punctuality, ethical standards and excellence in what they do, it should be Christians. We must cultivate diligence in all that we do. We need to be the most punctual at work; the kindest at work. We need to be people who resolve problems along the way. When we can cultivate the ability to work without somebody constantly supervising us, we are pure gold to that company. We know what needs to be done. We will figure it out and it will be done well. Check along the way and move without the need of constant supervision. They will promote you all the way to the top. “There is one who scatters, and yet increases all the more, and there is one who withholds what is justly done, and yet it result only in want. The generous man will be prosperous, and he who waters will himself be watered” (Prov. 11:24-25). Understanding the law of sowing and reaping is incredibly important. God giving so much to us is like seed. This seed is not for eating. It is for sowing for tomorrow’s harvest. If we understand this and we let seed go through us, we will have a huge harvest. Tithing is the ability to let some of that which God gives to us go through us. It keeps us healthy. We give to things we feel are important to us. So, how can we learn to give to God? We have to consider God a lot more important than what we have. 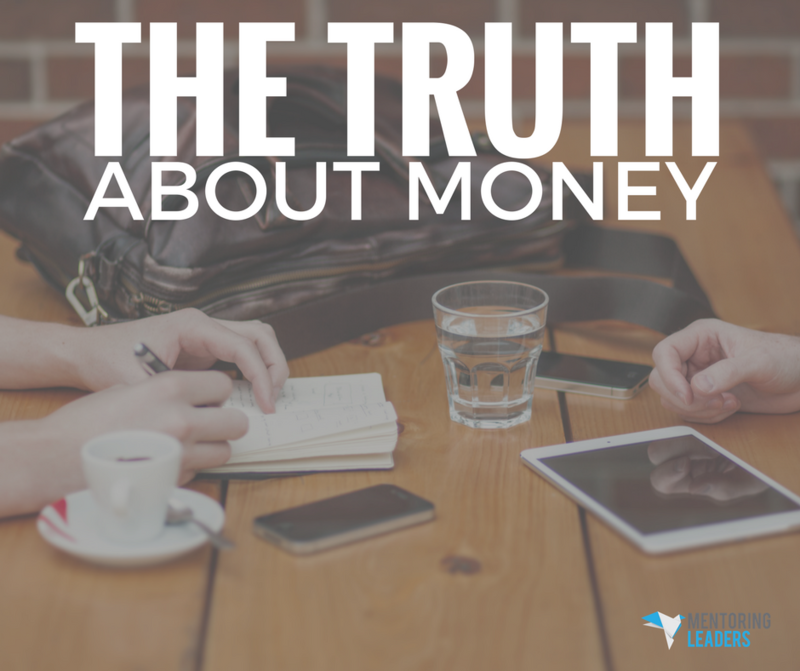 What you have learned about money is absolutely critical for the rest of life. When God sees you faithful here, He will give you the true treasures of heaven.